Wow! Volatility returned with a vengeance. After experiencing market pullbacks of less than five percent in 2017, we’ve already experienced two pullbacks of greater than five percent in 2018. This is still normal market activity considering 2017 and 1995 were the only two years in the past thirty without a pullback of greater than five percent. The increase in volatility was due to fears of a global trade war. However, the fundamentals of the global economy remain strong and over the long term the capital markets will shift their focus to fundamentals and company earnings. The S&P/TSX underperformed in the first quarter, falling nearly five percent on a broad-based sell off across most of the market. 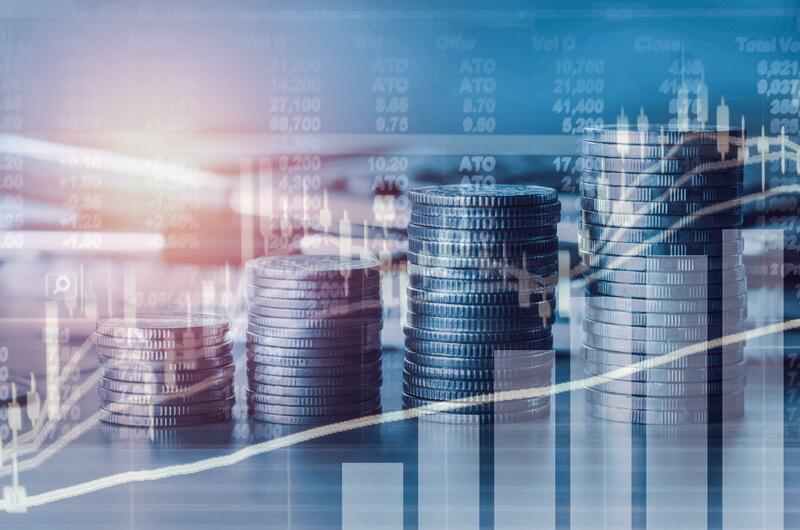 The S&P/TSX was dragged lower by concerns of a further weakening Canadian economy due to increases in interest rates, stricter mortgage lending rules, and increases in minimum wages across many provinces. Notably, the weaker Canadian dollar in the first quarter helped prop up global equity returns for Canadian clients. There’s no doubt equity investors were reacting to the fear of a global trade war in the first quarter. The fear of a potential trade war between the U.S. and China, or other countries, drove selling pressure that resulted in the S&P 500 falling 1.2 percent in U.S. dollar terms. Looking at the numbers, the selling pressure may have been an overreaction. Bi-lateral trade between China and the United States amounts to low single-digit percentages of each country’s GDP. The tariffs would amount to a fraction of a fraction. Not to suggest the potential for a trade war is trivial but the magnitude of the reaction may have been greater than warranted. In overseas markets, international equities rose 0.51 percent in Canadian dollar terms as measured by the MSCI EAFE Index. Setting aside the potential of trade wars, Europe and Asia’s economic outlook continues to be very robust and this will likely flow through company earnings. With accommodative interest rate policies, this part of the world will likely result in strong market returns. In the first quarter, the U.S. Federal Reserve saw a change in leadership with Jerome Powell taking over the helm from Janet Yellen. Jerome Powell continued Yellen’s rate hike policy in the first quarter by increasing the overnight rate once by an increment of 0.25 percent to 1.75 percent. The U.S. Federal Reserve is expected to continue to raise its benchmark rate another two or three times by the end of the year. The Bank of Canada continued its interest rate increases from last year by increasing overnight rates by 0.25 percent to 1.25 percent. It’s expected rates will increase very gradually with one more increase this year. Recent market volatility driven primarily on trade war rhetoric will subside as cooler heads prevail when it becomes evident there are no clear winners—only clear losers. Market returns will be driven by fundamentals and interest rate policy. Fundamentals continue to be strong, likely resulting in higher interest rates. In this environment, equity markets will be positive but likely will not experience the above average returns we’ve seen in the past couple of years. As always, if you have any questions about the markets or your investments, I’m here to talk. Stocks, bonds and mutual funds are offered through Manulife Securities Incorporated. Insurance products and services are offered through The William Douglas Group Inc. Banking products and services are offered through referral.